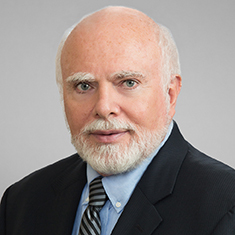 With a career spanning more than 40 years, Charles Perry's business and commercial litigation practice focuses on sophisticated contract-related disputes, business torts and statutory claims, including those arising out of mergers and corporate acquisitions; partnership, shareholder and corporate governance matters; trademark and copyright infringement; lending; insurance coverage and duty to defend; construction; and trade secret and non-compete agreements. Chuck has handled matters, up to and including trial, in state and federal courts (both district and bankruptcy) in Texas and other states; arbitrated before JAMS and the American Arbitration Association; and briefed and argued appeals before the US Courts of Appeal for the Fourth and Fifth Circuits, the Texas Supreme Court and several Texas Courts of Appeal, as well as appellate courts in other states. He also has substantial experience in the use of extraordinary procedures such as injunction, attachment and receivership. Chuck is board certified in civil trial law by the Texas Board of Legal Specialization, and board certified as a civil trial law advocate by the National Board of Trial Advocacy.